With over 15 years of experience, HTD Group is rapidly becoming the logical choice for PCB manufacturers in China. We're proud to manufacture high-quality products, and provide a safe and prosperous workplace for our 1000+ employees. Our success didn’t just happen, it has taken 15 years of hard work and the ability to adapt to to an ever-changing, global industry. HTD Group Circuits.com is one of the world’s largest and dedicated multi layer PCB suppliers. Our passion for electronics and other semiconductors has helped us to become one of the best PCB manufacturers in the business. Apart from this, it has prompted us to expand beyond the boundaries of our country and reach the whole world. Printed circuit boards from HTD Group Circuits are the answer to the latest technological advances in the domain of electronic circuit designing technology. These comprise a series of different components assembled together like a waterfall that can be used to perform multiple functions all at the same time by producing a complete circuit. We make it a point to mention all the components that have been assembled, so that it is easy for you to make proper use for it, irrespective of whether you are an expert professional or an amateur. As we all know, China has a fabulous market for electronics, steel engineering suppliers and manufacturers but their manufacturing skills are well known as well. HTD Circuits as PCB board manufacturers owns a large PCB factory which produces all kind of PCBs you can think of! 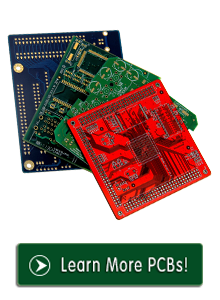 The custom PCBs can be printed according to your own specifications, ranging from a couple of layers to those going up to as high as 16 layers. HTD Group Circuits is committed to provide you the best quality of service. This is why all the PCB fabrication is done under the strictest quality control and from the best quality materials, under expert supervision. We even provide you superior quality aluminum PCB boards, copper boards, laser cut stencils, flexible PCBs and a number of other varieties of custom PCB that fit your requirement and budget.